Nostalgia is a dangerous thing, especially when mixed with a big production budget. Most of the time, cartoon reboots will flop because their audience grew up and they don’t capture the same essence of the original. So instead of all that disappointment and cries of “childhood ruined!” I’m going to show you some of the times when the rebooting and remaking process actually got it very right. The original Teenage Mutant Ninja Turtles show was an immensely popular Saturday morning cartoon which ran from 1987-1996, which in cartoon years is roughly a billion years. It’s been brought back before as a live-action series with actors in turtle costumes, which was a bit weird, and most recently by Michael Bay which was completely and utterly unsettling. Well you can put all that behind you because the newest series started in 2012 on Nickelodeon and is in stylish 3D animation which emphasises the fluid action and great comedic moments. 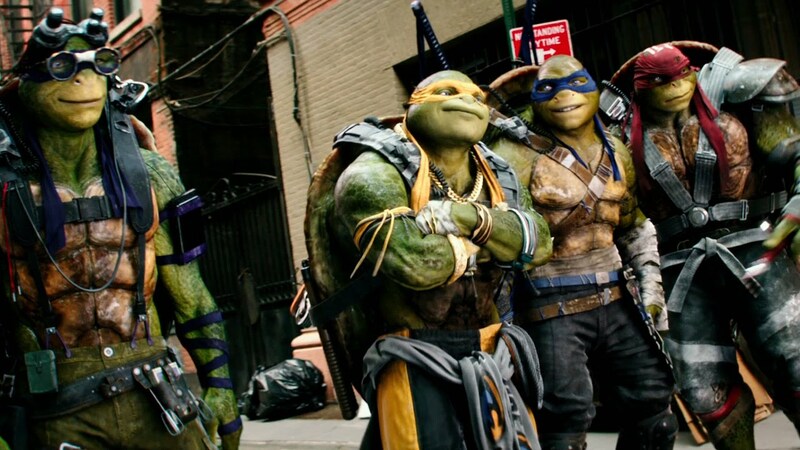 All that “cowabunga” stuff doesn’t really land when the turts look too gritty so it’s a good job they went with this more cartoony vibe. Also it gives Shredder a badass ninja daughter which is pretty sweet. Thundercats was another 80’s cartoon that starred anthropomorphic animals, this time making half-human, half-cat people way cooler than they ought to have been. It was flamboyant and a bit of a guilty pleasure at the time so you’ll be happy to hear that the 2011 version is darker and edgier, which makes the whole show feel much more cinematic. The characters are actually given motivations and depth, they have layers this time around. This version is much more story-driven than the original which felt like a series of adventures loosely tied together at times. Don’t jump aboard the hype train just yet though, I’ve got some bad news. 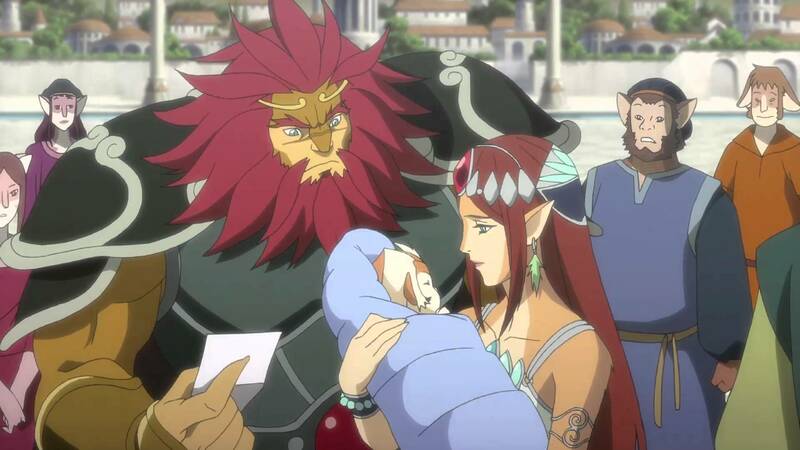 Thundercats (2011) was cancelled after only 1 season. The reason being that it was no good at selling the officially licensed toys, which is apparently where the real money is. A shame that such potential is lost for the sake of greed. But hey, at least we have one really tight, great season of the show, it never got a chance to go stale! Speaking of… There’s nothing that says ‘greed’ quite like the image of Scrooge McDuck diving into his gigantic pile of money. It’s an iconic scene that even people who haven’t watched DuckTales seem to be familiar with. Well luckily they’ve got another chance coming their way because Disney Television Animation are having another crack at DuckTales this year. 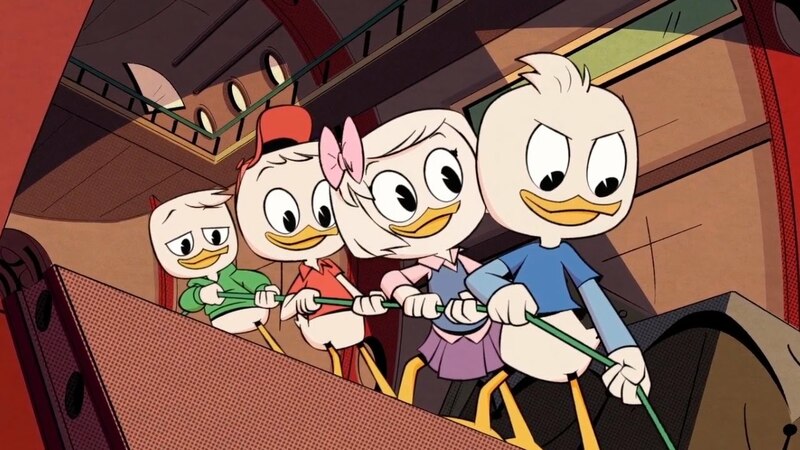 The 2D animation style they’re going with looks very clean and slick, David Tennant is the voice of Scrooge McDuck, they’ve made the triplets less annoying, what more could we want? Slated for a release later this year, keep an eye out for this one if you’re a fan of waterfowl hi-jinks and adventure. 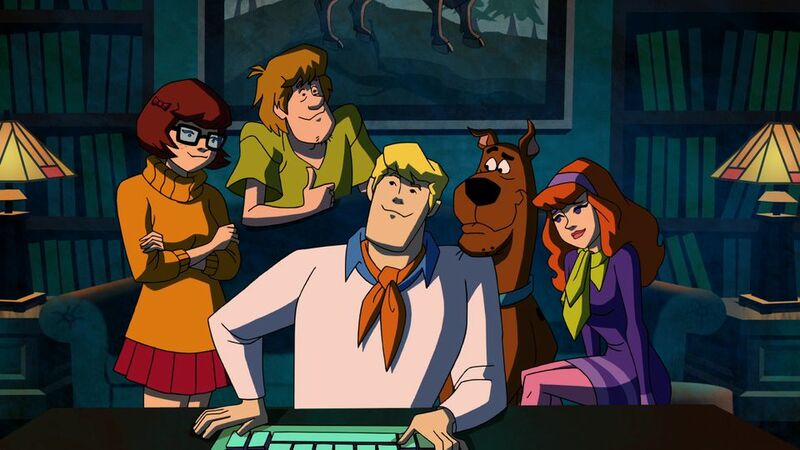 The original Hanna-Barbera show, Scooby-Doo, Where Are You! aired in 1969 – which was so long ago that Velma’s outfit is actually back in fashion. The less said about Fred’s orange ascot, the better. Take a look at the intro sequence for this one, they all have enough devices to make Steve Jobs proud! Well, Shaggy has a burger, which is actually better I’d argue. And before you turn your nose up at this, I know what you’re thinking and no, Scrappy is not in it this time. Thank your lucky stars. As you might expect, the formula remains largely the same: masked ne’er do wells getting away with mischief if it wasn’t for meddling kids, so don’t expect anything paradigm shifting. Yet with reboots that number around a dozen, the fact that I’m plucking out this one should tell you something. 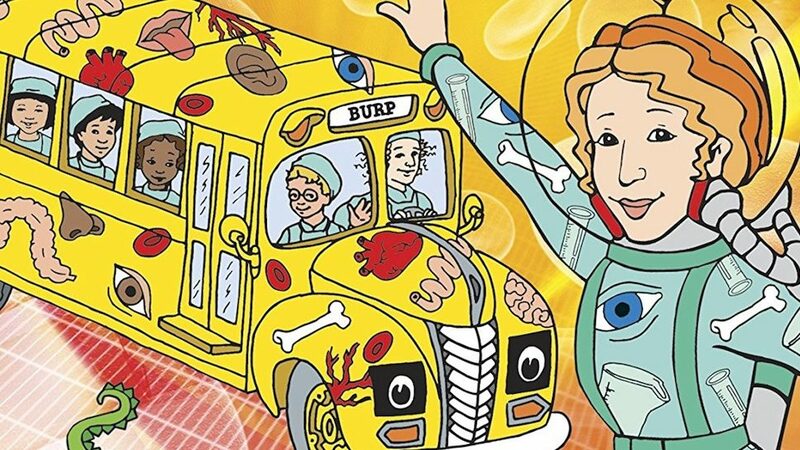 A cult favourite in the mid-90’s, The Magic Schoolbus was one of my favourites as a kid. Why? Perhaps it was the sci-fi elements, perhaps it was the tasteful educational influences that were weaved into the show, I was a little nerd so probably both. That episode where they shrunk the bus down and went inside one of the students bodies might have been leaning on a well-trodden trope but my word, did it blow my tiny mind as a kid. Not much is really known about this reboot yet, other than that Kate McKinnon (Saturday Night Live, Ghostbusters 2016) is going to be the voice of Ms. Frizzle, which is cool. Aside from that, we know it’s being produced by Netflix, who made the awesome Voltron reboot so we know we’re in good hands! I’m an unashamed Genndy Tartakovsky fanboy. You probably are too but you just don’t realise it yet, think: Dexter’s Laboratory, The Powerpuff Girls, Hotel Transylvania, Star Wars: Clone Wars as well as support roles on Tiny Toon Adventures, The Grim Adventures of Billy and Mandy, Steven Universe and more. Thought so. Samurai Jack returned for less of a reboot and more of a conclusion. Series 5 aired in March 2017 on a new home: Adult Swim after a long and painful thirteen-year hiatus. 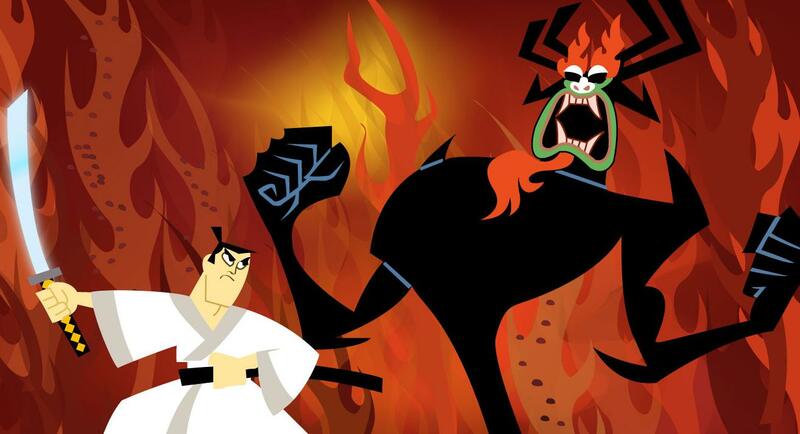 We rejoin Jack, still trapped in the future and 15 years after the last season ended, still struggling in his battles against the evil Aku. I guess I’m still a little nerd because I loved every episode of this a whole bunch. It gave me more gritty dystopian sci-fi, more samurai sword swinging and above all the sweet, sweet closure that I craved. There are a few reboots I would love to see which haven’t made the leap yet but who knows, maybe I’ll share who my top picks would be with you soon. Until then you can let me know what your favourite reboots, remakes or revivals are by heading over to our Twitter @fudgeanimation or Facebook.com/fudgeanimation – See you next week!